The incredible story of Lyra Belacqua will begin in La Belle Sauvage – the first volume of The Book of Dust. Now you have the opportunity to revisit her adventures in Northern Lights, with this graphic novel adaptation of a masterpiece, which comes to life with incredible full-colour art. Follow Lyra’s story once again in a way you’ve never experienced it before, as the arrival of her fearsome uncle, Lord Asriel, draws her to the heart of a terrible struggle – a struggle born of Gobblers and stolen children, witch clans and armoured bears. Lyra hurtles toward danger in the cold far North, never suspecting the shocking truth, that she alone is destined to win, or to lose, this more-than-mortal battle. This edition combines all three illustrated volumes of the story, now available for the very first time in hardback. 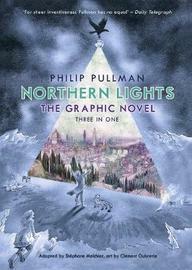 The publication of Philip Pullman’s Northern Lights as a graphic novel was inevitable. The book had been published in several languages as well as being made into a film. Surprisingly, the graphic novel was initially French and required retranslation back into English. For those who are wondering why retranslate and not just slip Pullman’s dialogue into the speech bubbles – don’t go there. It’s the arcane worlds of publishing and translation. To answer the obvious questions, it sticks to the story and to story order. The original 450 pages have been reduced to 280. Considering “a picture is worth a thousand words”, this isn’t a reduction in length and points to the eloquent sparsity of Pullman’s work. It had been quite a while since I read Northern Lights (or watched The Golden Compass), that re-reading the graphic novel wasn’t a chore. Perhaps the most important aspect of a graphic novel is the artwork, and Clément Oubrerie has done an excellent job. The style is suggestive of drawings by early teens, as opposed to the hyperclean comics of DC and Marvel. The colours are subdued, like those of a Northern Europe autumn. Mercifully, he has eschewed the bright ink of Asterix and Lucky Luke for dull pencil. Melchior has kept the dialogue balloons small and ownership obvious. While the original version of this story was the text novel, this graphic novel was as satisfying. Plus it is encouraging me to try the French version. Definitely worthwhile. If high school is all about social status, Indigo Blakwood has it made. Sure, her quirky mom owns an occult shop, and a nerd just won’t stop trying to be her friend, but Indie is a popular cheerleader with a football-star boyfriend and a social circle powerful enough to ruin everyone at school. Who wouldn’t want to be her? And it was all going so well. Indigo Blackwood is on the cheerleading team and has a devastatingly good looking football playing boyfriend. As far as teenage high school social status goes, she has it made. 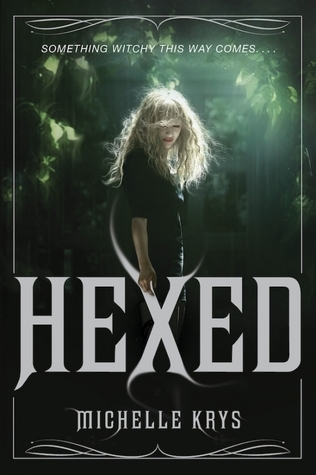 But then her Wiccan mother is murdered; she finds out she is supposed to be a witch; a tall dark stranger starts meddling in her life and the ancient book her family were entrusted with “The Witch Hunters Bible” goes missing; as a bunch of very bad spell casters want more power for themselves and will happily go through Indi, her family and friends, to get it. Excellent read with likeable characters and believable dialogue. I look forward to more of this world. Recommended for teens. Another amazing book by EL James. Having read the original trilogy (from Anastasia perspective ), I found this book interesting. Hearing the story from Christian’s point of view has provided more in-depth understanding of the history, emotions and greater perspectives of the characters’, especially Christian’s. The book follows the same time frames as the original trilogy. I look forward to the next instalment. I would recommend this book. Especially to Fifty Shades of Grey fans.